Judge or Jury? Which Would You Prefer Decide Your Fate? I have been watching with great interest news reports on the Oscar Pistorius trial that is going on right now in South Africa. Oscar is known as the “Blade Runner” as he runs on prosthetic legs and was the first person with prosthetics to run in the Olympics, not the Para-Olympics. He is, unquestionably, a celebrity in South Africa and hero there. He is widely loved by the citizens there. The Pistorius trial has proven to be South Africa’s “O.J. Simpson” trial, although we don’t know yet if it will have a similar outcome. 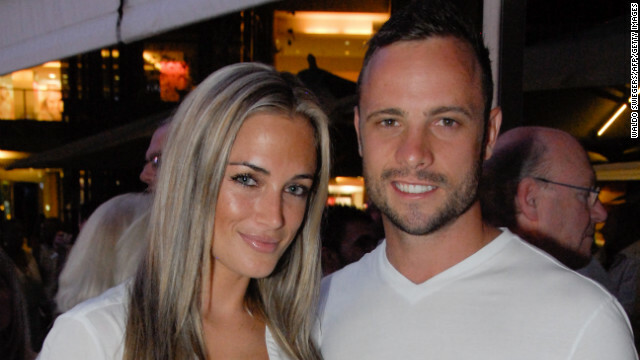 The Proscecution alleges Pistorius intentionally shot his girlfriend, Reeva Steenkamp, through a closed bathroom door in his home during the middle of the night, killing her. There is no doubt that Oscar killed her; the question is, what was his intent? The issue of a criminal trial is often not who did it, but rather what was going on in the mind of the defendant at the time he did it? It is an intriguing case. One of the things that interests me is that in South Africa, this case is being tried and will be decided by the judge, not a jury. The case has really put the legal system of South Africa in the spotlight. South Africa abolished jury trials in 1969, while the country was under apartheid, due to fears of racial prejudice by white jurors. Pistorius will be tried in a high court in Pretoria by Thokozile Matilda Masipa — the second black woman appointed to the bench since apartheid ended. This would almost certainly never occur in the United States. A criminal defendant can certainly consent to having a judge decide his fate, known as “bench trial,” but that is extremely rare, given that conventional wisdom says a criminal defendant has a better chance with a jury than a judge. Likewise, for civil plaintiffs in cases asking for money damages for personal injuries, the kind of case I try, the conventional wisdom is to have the case decided by a jury, not a judge. Again, the parties could, by mutual consent, agree to have the case bench tried by a judge, but that would be highly unusual. One of the biggest risks of a bench trial is having the judge, that one person who decides your entire case, is against you? You lose! It sometimes takes four or five years for a civil case to reach a trial, and in one instant, based on who your judge is, you have lost because it was all or nothing…you had to convince one person and you couldn’t do it. In Georgia trials, both civil and criminal, a jury’s verdict must be unanimous. All twelve jurors must agree to the verdict. This prevents any one person taking over your case and deciding it, as a loner, against you. It is a bit of hedging your bets. If one juror our or 12 disagrees with your case, or just doesn’t like your client, for whatever reason, you have 11 other jurors who hopefully, will prevent you from losing the entire thing. Often, where a jury is divided 11-1 on the outcome, the other 11 jurors can persuade the lone holdout to compromise on the verdict, and so often such a jury will return a verdict everyone can live with. Trial ends and everyone goes home, including the jury. If you have that one holdout who will not agree to compromise, he can decide to wait forever, or at least until the judge says “enough,” and then we have what is called a “hung jury” and the case must be retried with a completely new jury. This retrial occurs at enormous expense and additional time. So what is better? Judge or jury? Our right to a jury trial is enshrined in the United States Constitution in the Seventh Amendment and the Georgia Constitution. The Georgia Constitution calls the right to a jury trial “inviolate,” meaning nothing can take it away. This was the basis of the Georgia Supreme Court’s decision in Atlanta Occuplastic Surgery, P.C. v. Nestlehutt, 286 Ga. 731 (2010), the landmark case that ruled the cap on damages created by our Georgia Legislature in 2005 violated the Constitution. As a plaintiff’s personal injury trial lawyer for 25 years, I have never allowed my client’s case to be decided by a judge, and I don’t anticipate ever changing that outlook, so, obviously, in my opinion, a jury is always better. I can certainly understand why the justice system of South Africa turned to non-jury trials. This was done to protect blacks from all white juries during Apartheid. Keep in mind that in America blacks were not allowed to serve on juries until the 19th century. Before the Civil War, African Americans were excluded from jury service. As a result, the fate of black litigants was routinely left to exclusively white juries in both civil and criminal jury trials. Not until 1860 were the first African Americans seated on a Massachusetts jury. In fact, not many blacks served until the next major step forward in our racial history: the civil rights movement. Likewise, women could not serve on juries until after they won the right to vote in 1920 with the passage of the 19th Amendment to the Constitution. Women were rarely seen on juries until the women’s movement in the 1960s applied pressure to an unrepresentative system. So although the United States now recognizes a citizen’s constitutional right to serve on a jury, regardless of race, gender or sexual orientation, we don’t have the pristine moral history on this issue we wish we had. So I get South Africa’s decision to change their legal system. But, in the end, give me a good ole’ jury to decide my client’s fate. I can usually live with their decision, as most juries simply want to get it right.